July 27, 2017 – For the first time since Topretirements began running our annual list of America’s 100 most popular places to retire we have a winner from the west. In fact, we have two. Green Valley, Arizona took over the top spot from last year’s winner, Sarasota, Florida. Hitting #2 on our list is another town from Arizona, the former cowboy town of Prescott, north of Phoenix. Green Valley is a sprawling area south of Tucson near the border with Mexico. It covers a vast area with all kinds of communities and developments – in fact it has 59 different home owner associations. Retirees like its relatively low cost of living, warm winter climate, the nearby Santa Rita Mountains, and the extensive non-profit Green Valley recreation complex. In gaining the #1 spot on our list, Green Valley was viewed over 12,000 times in the first six months of 2017 by Topretirements.com visitors. That is 4,000 more than #2 Prescott and almost double what previous winner Asheville, NC (#3) experienced. The 2017 list is convincing proof that when it comes to where baby boomers are thinking about retirement, the Sunbelt and the West are well, the best places in the sun. Only 3 of 2017’s top 100 towns were outside those two areas of the country. Delaware had two of them – #66 Lewes and #74 Rehoboth – while Pennsylvania claimed the #79 spot with Pittsburgh. Note that our loose definition of Sunbelt includes Virginia and Tennessee. The West definition includes any state west of the Mississippi. Six states had 66 towns on the list among them. As always, Florida had the most cities on the list with 23, followed by North and South Carolina (13 and 10 respectively). Other states with multiple winners included Arizona (8), Tennessee (6), and Colorado (6). A record 16 new towns moved onto the 2017 list, ten more than in 2016. All of the newcomers were from the Sunbelt or West. Breaking through on the 2017 list were: Palm Springs, CA (#34), Gainesville, FL (#64); Port Isabel, TX ((#70); Ft. Walton Beach (#83); Lakeland, FL (#85); Boulder, CO (#86); Surprise, AZ (#90); Englewood, FL (#91); Meridian, ID; Scottsdale, AZ; Johnson City, TX; Pinehurst Village, NC; Conway, SC; Wilmington, NC; Lake Eufala, OK; and Walla Walla, WA (#92-100). The top 10 towns or cities on the list was relatively stable, with one newcomer. The newbie is Pensacola, Florida, which moved up from 15th place in 2016 to #8 this year. Other big movers were Chattanooga, TN, which rocketed to #19 all the way from 88th place last year. Dunedin, FL climbed to 40th from 76th. Greenville, NC, which held the #81 spot in 2016 ascended to #54 this year. Those losing ground included Myrtle Beach, SC (#28 from #11), Austin, TX (#24 from #18), and Bellingham, WA (falling from #46 to #82). which was more than 10 times as often as the newcomer in the #100 position, Walla Walla (WA). It doesn’t mean that people will actually move to any of these destinations, but it does indicate that folks are interested in learning more about them. Note that popularity is affected by other factors, such as whether or not we featured a town in one of our newsletter or Blog articles. Note that we do not include active adult communities in our compilation – if we had, “The Villages” in Florida would have ranked 35th in 2017. See our “2016 Most Popular Active Adult/55+ Communities” for that list. To make sure you don’t miss new lists like this, sign up for our free weekly “Best Places to Retire” newsletter. See also “The Worst States for Retirement – 2014“. 6. Tucson, AZ. The area is warm in winter, blessed with sunshine almost 300 days per year, and has beautiful surroundings. At 233 performing arts dates per year, it also has one of the nation’s highest numbers of arts performances. 7.Beaufort, SC. The Old South lives on in the quaint seaside charm of Beaufort, Known as the “Queen of the Carolina Sea Islands”. Horse-drawn carriages roll along streets in the town’s charming historic district that are overhung with Spanish moss. 8. Pensacola, FL. Pensacola is a popular town for retirement and tourism in the western end of the Florida panhandle. Its location on the Pensacola Bay gives it access to the emerald green waters and sandy beaches of the Gulf of Mexico. 9. Charleston, SC. “The Holy City” is undoubtedly one of the most beautiful cities in the U.S. as well as being one of its top tourist attractions. Located on the coast of South Carolina, until the mid 1800’s it was one of the 10 largest cities in North America. 10. Paris, TN. Paris is a small town of about 10,000 in northwest Tennessee, 15 miles from the vast and popular Land Between the Lakes recreation area. 11. Brevard, NC. 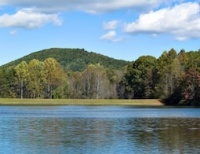 The town of Brevard, surrounded by the scenic Blue Ridge Mountains, consistently ranks near the top of popular lists of “best retirement communities” and “best places to live, work, and play”. 12. Murphy, NC. Murphy is a great place for retirement particularly if you are interested in a quiet and rural environment. The climate is mild and the scenery is breathtaking with mountains and lakes. 13. New Bern, NC. This city of over 30,000 grew by 30% from 2000 to 2013. 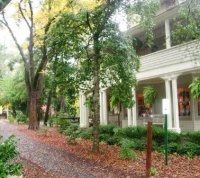 It has a 56 square block tree lined historic district and a charming downtown. New Bern was named a “Certified Retirement Community” by the State of North Carolina in 2015. 14. Flagstaff, AZ. Centered amidst some of the most enchanting physical landmarks in the world, Flagstaff is a top rated community for retirement. 15. Las Cruces, NM. Las Cruces has been listed as a “Best Place to Retire” by several organizations for many reasons: low cost of living, active cultural life with its major university, and unusually beautiful location. 16. Savannah, GA. Savannah is one of the most beautiful cities in America. It is a popular tourist destination as well as an area popular with retirees. Each year almost 7 million tourists visit here. 17. St. Petersburg, FL. Saint Petersburg has been a classic retirement and tourist destination since the 1920’s because of its winter warmth, great beaches, and ideal location on a peninsula in Tampa Bay. 18. Bluffton, SC. 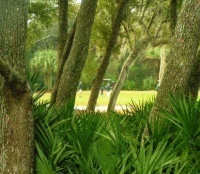 Bluffton, located near Hilton Head Island and the coast, is a charming, walkable, old town on the May River. 19. Chattanooga, TN. Chattanooga is a low-cost, interesting retirement city. It was the site of the famous critical civil war Battle of Chattanooga due to its strategic location on the Tennessee River. Called the “Scenic City”, it is home to the University of Tennessee – Chattanooga. 21. St.Simons Island, GA (up from #79 last year). Living in St. Simons Island, the southernmost community in Georgia, could be like going to paradise. There are beautiful sandy beaches, luxurious homes, and summer lasts for 7 months. 22. Myrtle Beach, SC. Myrtle Beach is a favorite beach and golf resort community as it is home to The Grand Strand – one of the world’s longest sections of perfect beach, and boasts over 120 golf courses. It also has a reputation as a hot spot for live family entertainment, music, and celebrity concerts. 23. Naples, FL. Naples represents the gold coast of southwest Florida. Its walkable downtown is as sophisticated as any in the world, but charming too. 24. Austin, TX. Austin is becoming a very popular retirement community. The University of Texas and its array of cultural and other activities is perhaps the biggest draw for Austin, along with its cosmopolitan and high-tech quirky soul. 25. Ft. Myers, FL. Located on the banks of the Caloosahatchee River on southwest Florida’s coast, its roots go back to 1886. It has the charming Thomas Edison Museum and a beautifully restored downtown along the river. New developments go off in every direction. 26. Athens, GA. Athens is an immensely successful university town and popular as a retirement community. The University of Georgia has helped to create an unusually liberal community with a thriving artistic, musical, and intellectual scene. 27. Southport, NC. Southport was an active seaport in colonial times and remains one of the few active fishing villages in North Carolina. Its picturesque location features over 28 miles of sandy beaches and a number of lighthouses. 28. Summerville, SC. Summerville, “The Flower Town in the Pines”, has a charming downtown with many restaurants and unusual shops. Tourists flock to the area to see its azaleas in season. 29. Port Charlotte, FL. Port Charlotte is a suburban community to the northeast of busy Fort Myers. Thousands of snow birds and retirees come because it is warm in the winter and home prices and rents are low. 30. St. George, UT. Saint George has spectacular red rock bluffs overlooking the town, a mild climate in winter, and terrific recreational opportunities. 31. Charlottesville, VA. Charlottesville, has been ranked as one of the best 100 places to retire. Home to the University of Virginia, this college town offers a tree-lined dignity and charm that makes it easy to see why so many active adults are planning to retire here. 32. Sequim, WA. Sequim is popular both with retirees and with people looking for second homes. 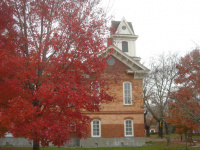 The town has has won numerous awards as a great place to live and retire. 33. Chapel Hill, NC Chapel Hill is a particularly beautiful town in the gentle hills of central North Carolina. The University of North Carolina is the centerpiece of this charming small town with a cosmopolitan flair that makes it appealing as a retirement community. 34. Palm Springs, CA (New, was on the 2015 list). We love this oasis town east of Los Angeles in the Coachella Valley. You can be playing golf in the valley and see snow on nearby mountains. 35. Las Vegas, NV Las Vegas is one of the fastest-growing communities in the U.S. Legalized gambling in this desert resort city has created an enormous economy and attracted many new residents, including retirees in active adult communities. The Las Vegas strip is justly famous for its glitz and many attractions. 36. San Antonio, TX. San Antonio It is famous for its Paseo del Rio (River Walk), Tejano culture, and as home to SeaWorld and Six Flags theme parks. The Alamo (Battle of 1836) is a shrine and museum located in the heart of downtown. 37. Colorado Springs, CO. Colorado Springs is an extremely popular retirement community due to spectacular scenery, abundant sunshine, and conservative values. The city also offers bike trails, parks, and cultural activities. 38. Clearwater, FL. Clearwater, part of the Tampa Bay Metro, has a rich cultural infrastructure-due in part because of the The Clearwater Public Art and Design Project. Nearby St. Petersburg and Tampa are also loaded with cultural venues. 39. Bend, OR. Bend offers great scenic beauty, skiing, mountains, golf, fishing, and more. Bend makes just about every list of “best retirement communities”. 40. Dunedin, FL. Dunedin is an old sailing town of about 36,000, with a spectacular setting on the west coast of Florida that boasts at least a mile of unobstructed views of Gulf beaches. Settled by Scots, it retains many interesting Scottish traditions and festivals. 41. Sedona, AZ. The Red Rocks of Sedona are world famous for colors displayed by sunrises and sunsets on the red sandstone rocks. That beauty, combined with the mountains, climate, hiking and the arts have made Sedona a popular retirement community. 42. Beaufort, NC. Beaufort is a charming and friendly small town of 4,200 by the sea. This old seaport has an interesting history and beautiful housing – many homes sport historic plaques. 43. Maryville, TN. This small college town has all of the things that make Tennessee retirements so appealing – low taxes, low cost of living, and outstanding recreation opportunities in nearby lakes and Great Smoky Mountains. 44. Knoxville, TN. Knoxville is particularly attractive because it is home to the Vols – the University of Tennessee. It is a vibrant college town with big-time sports and many cultural events. 45. Fairhope, AL. Fairhope, Alabama is one of the most unusual (and nicest) retirement communities anywhere. Fairhope has made some movement from utopian experiment to retirement community… artist’s/intellectual’s colony… boutique resort… some local residents refer to Fairhope as “Carmel-by-the-Bay” alluding to California’s Carmel-by-the-Sea on the Monterey Peninsula. 46. Spokane, WA. Spokane is the 2nd largest city in Washington, and one of the largest in the Northwest. It is located on Washington’s eastern border with Idaho, and is the cultural, social, and economic hub of this area. 47. Mt. Airy, NC. Mount Airy has a vital downtown that attracts tourists and retirees. In 2013, it was designated by the State of North Carolina as an official North Carolina Retirement Destination. 48. Gulf Shores, AL. Located on a barrier island in western Alabama, Gulf Shores is an upscale resort and retirement community at the entrance to Mobile Bay. Part of the attraction is the water and coast – many places to explore in your boat, play golf, or enjoy the white sand beaches. 49. Greenville, SC. Greenville has an interesting downtown and several great neighborhoods. It is also home to a number of colleges and is a thriving community for the arts. 50. Fernandina Beach, FL up from #99 Fernandina Beach is old Florida. It has a charming downtown with an artsy feel and many quiet neighborhoods featuring Victorian homes. 51. Williamsburg, Virginia Williamsburg is a very popular retirement community. Colonial Williamsburg is actually a living representation/restoration of the 18th century colonial capital. If you are a history buff and you love antiques, this is the place for you. 52. Tampa, FL. The city has a spectacular location on Tampa Bay and Hillsborough Bay, which in turn lead to the Gulf of Mexico, and has every type of cultural resource such as theatres, museums of all kinds, and a vibrant city life. 53. Crossville, TN. The number one reason why Crossville, Tennessee is desirable as a retirement community is because it is a relative bargain. 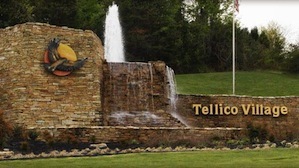 Dubbed the “Golf Capital of Tennessee”, as the area has 12 golf courses. There is also great beauty in the foothills of the Blue Ridge Mountains. 54. Greenville, NC. Greenville was recognized as “Sportstown USA” by Sports Illustrated and the National Parks and Recreation Association. The recognition came for its commitment to providing sporting opportunities for residents. 55. Hayesville, NC Hayesville is a beautiful and friendly, but very small town that combines small-town charm with the beauty of mountains, lakes, rivers and streams. Opportunities for camping, golf, fishing, hiking, horseback riding and water sports are plentiful. 56. Henderson, NV. Henderson, second largest city in Nevada, is also one of America’s fastest-growing communities. the city prides itself on its master-planned residential areas, transportation projects, and outstanding recreational opportunities. 57. Hilton Head, SC. Known for its beautiful beaches and fabulous golf courses, the area tends to be quite exclusive and most of it comprised of planned developments. 58. Aiken, SC. This town of almost 30,000 in western South Carolina is known as the “Winter Colony”, and has always been popular with the horsy set for fox hunting, steeplechase, and polo horses. 59. Jacksonville, FL. Jacksonville is the most populated city in Florida with 808,000 inhabitants. It is has a mild winter climate and much to offer in terms of culture and recreation. 60. Durango, CO. Durango is one of the most interesting small towns in Colorado. It is world famous for every kind of outdoor recreation including mountain biking, hiking, kayaking, and golf. 61. Reno, NV.”The Biggest Little City in the World”, is the 4th largest city in Nevada with a population of about 220,000. The nearby Sierra Nevada Mountains and deserts make this a great area for people who like the outdoors. As a college town it has a full supply of cultural and sporting venues. 62. St. Augustine, FL. Saint Augustine is the longest continuously occupied European settlement in the U.S., which makes it a historic community with a lot to do that is connected with the city’s rich heritage. 63. Eugene, OR . Eugene enjoys a national reputation as one of the most livable cities in the country. As a retirement community it offers small town charm combined with big city sparkle. It has a thriving and eclectic arts scene along with unsurpassed natural beauty. 64. Gainesville, FL (New). This college town in north central Florida is home the Gators of the University of Florida. It has a nice downtown and many pleasant places to live. 65. Eureka, CA. A port city on the Humboldt Bay of California’s northern coast, makes Eureka an excellent retirement community. It’s filled with examples of 19th and early 20th century architecture and historic districts, and has been likened to a west coast Williamsburg, Virginia. 66. Lewes, DE. Lewes is a small town on the southern coast. It’s considered an ocean resort and a top tourist area because of its beaches, proximity to Cape Henlopen State Park, and shopping malls. 67. Boise City, ID up from #100 “The city of Trees” is a modern, prosperous, and livable city that offers many recreational activities and a great lifestyle. 68. Leesburg, FL. Leesburg is fast growing town in central Florida, the result of retirees choosing it as their retirement town. 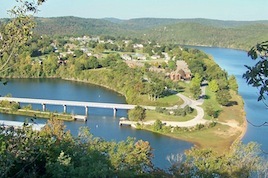 The many lakes in and around the town are a primary attraction. 69. Grand Junction, CO. Grand Junction, is a college town perched on the border with Utah. It has a nice downtown, and natural beauty and recreation are abundant. 70. Port Isabel, TX (New). This beach resort and retirement town of about 5,300 is on a barrier island in extreme southern Texas. Surrounding towns include South Padre Island, Harlingen, and Laguna Vista. Fishing is popular. 71. Corpus Christi, TX. Corpus Christi bills itself as “The Sparkling City by the Sea”. There are many local attractions, particularly concerning the waterfront, boating, beaches, and fishing. Golf is also popular here. 72. Albuquerque, NM. Albuquerque, the largest city in New Mexico, is set in a unique place near the mountains, and is a vibrant college town, home to the University of New Mexico. 73. San Juan Islands, WA. San Juan Islands Located off the coasts of Washington and British Columbia, are both a tourist destination and a retirement community. The setting, the tranquility, and the scenery are world class. 74. Rehoboth Beach, DE. Rehoboth Beach is a beach community located on the pastoral Delmarva Peninsula. This hospitable town, billed as “The Nation’s Summer Capital”, was chosen by the AARP as a “Best Places to Retire”. It is increasingly popular as a retirement community because of its small town character, reasonable prices, and fabulous beaches. 75. Delray Beach, FL. Delray Beach is a very popular and upscale retirement community on the east coast of Florida. A Master Plan developed by the city resulted in an extensive and extremely successful renovation of its charming and walkable downtown area. 76. Santa Fe, NM. Santa Fe is one of the top cultural destinations in the world. Known for its art and music, the city was selected by Money Magazine as one of the “Best Places to Live”. 77. Lake Keowee, SC. Lake Keowee is a very large reservoir in north-central South Carolina, just west of Greenville. It is not a town, but a beautiful region which is a relatively unspoiled area with plenty of water and parks for recreation. 78. Phoenix, AZ. 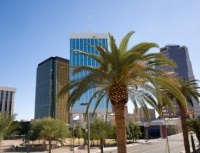 The city of Phoenix has long been a popular retirement community for active adults 55+. Retirees come in droves because of its warm winters, ample housing opportunities, and the Arizona lifestyle. 79. Pittsburgh, PA. Pittsburgh consistently makes the “Best Places to Live” lists. It has a beautiful setting where two major rivers, the Allegheny and the Monongahela, combine against a backdrop of steep hills to form the Ohio River. Pittsburgh has a solid economy, low cost of living, and growing educational, cultural and medical infrastructures. 80. Clemson, SC. This town of 13,000 is nestled in the extreme Northwestern corner of South Carolina. Clemson University and its 17,000 students have a major impact as the university is the cultural center of the city. 81. Key West, FL. Key West, Florida, is an extremely charming community, the southernmost in the U.S. Many active adults choose this city and island 90 miles north of Cuba because of its sub-tropical warmth, its diversity (home to many gays), and its laid-back charm. 82. Bellingham, WA. If there was ever a town with momentum it is Bellingham Washington. Kiplinger’s called Bellingham one of the top retirement communities in the U.S. It boasts unbelievable natural scenery from Puget Sound on the west and Mount Baker to the east. 83. Ft. Walton Beach, FL. Known as being on “The Emerald Coast”, this a popular beach and fishing community of 20,000 on Florida’s extreme northwest coast, almost in Alabama. The busiest time of the year is summer. The Air Force has two large bases in the area. 84. San Diego, CA. San Diego’s scenery, climate, and lifestyle are second to none and appeal to active adults 55+. Its bustling downtown area has a busy convention area and city parks set alongside hundreds of anchored pleasure boats. 85. Lakeland, FL (New). This was an important town during the Florida land boom. Many of its historic structures date from that period including the Terrace Hotel, New Florida Hotel (Regency Towers), Polk Theatre, Promenade of Lake Mirror, and the former Lakeland Public Library. 86. Boulder, CO (New). Perhaps the most prestigious and expensive city in Colorado, it is home to the University of Colorado. 87. Ft. Collins, CO. Fort Collins was chosen by Money Magazine as the best small city in the U.S. It’s a popular retirement community for its low crime rates, fantastic outdoor life, and small town ambiance. 88. Boynton Beach, FL. Boynton Beach includes sections that are on the barrier island and the connecting mainland to the east. Its many public beaches and parks provide a superb entertainment option. 89. Stuart, FL. Stuart is an extremely charming community with a lovely downtown that offers interesting shops and restaurants with a small town feel. There is a very ample coastline thanks to the bays and ocean that surround the town. 90. Surprise, AZ (New). This suburb of Phoenix is home to many large active communities, including Sun City Grand. Two major league teams have spring training here: the Royals and the Rangers. 91. Englewood, FL (New). A small town on the Gulf of Mexico just below Venice. It has great beaches and several state parks. 92. Vero Beach, FL. Vero Beach is located in the middle of Florida’s Atlantic Coast. 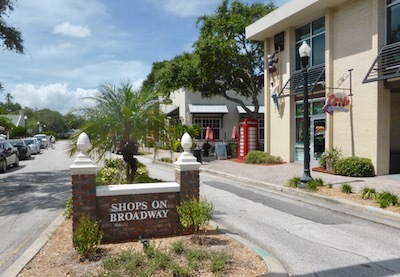 The town is in several parts – a ‘beach” area on the barrier island with a resort feel, and a large downtown across the bay on the mainland. 93. Meridian, ID (New). This suburb of Boise is close to Idaho’s mountains with outstanding recreational opportunities. It offers a diversified economic base too. 94. Scottsdale, AZ (New). Perhaps the most famous suburb of Phoenix, this affluent town in the McDowell Mountains is picture perfect. 95. Johnson City, TN (New). Located in extreme northeastern Tennessee. the area is becoming popular for retirement because of its low cost of living and its friendly, welcoming people. It is near Kingsport and Jonesborough, and only about 60 miles north of Asheville. 96. Pinehurst Village, NC (New). This classic village is set in a serene and beautiful forest. The Pinehurst Resort is located within the village. The resort is so low-key and private that you could drive by the entrance to the town and not realize that you were there. The community was founded by James Walker Tufts in 1895 with the goal of being a healthful retreat. 97. Conway, SC (New). 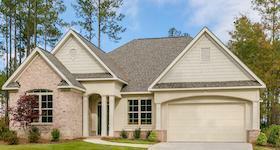 Its location about 20 miles from Myrtle Beach is a big plus. The town grew 45% since 2000 thanks to an influx of retirees and active adults. Active adult communities spread out in all directions. City Hall was designed by the same person who did the Washington Monument. 98. Wilmington, NC (New). A fast growing city at the mouth of the Cape Fear River on the Carolina coast. The city has a historic center and a mile long walk along the river. Great Carolina beaches are just minutes away. UNC – Wilmington is a big plus for the town. 99. Lake Eufala, OK (New). The area on a large reservoir in east central Oklahoma is a popular resort and low-key, relaxing retirement spot. Lake Eufaula has approximately 143,000 acres of water and over 600 miles of shoreline. 100. Walla Walla, WA (New). This is one of the most important towns in southeastern Washington. It is home to one of the top small private colleges in the country, Whitman College, as well as a growing number of top vineyards. As always, some towns lost part of their allure to prospective retirees last year. Those included: Blue Ridge (GA), Charlotte (NC), Portland (OR), Winchester (VA), Port Townsend (WA,) Denver (CO), Punta Gorda (Florida), Cape Coral (FL), Hendersonville (NC), Port St. Lucie (FL), Gulfport (FL), Jupiter (FL), Coeur D’Alene (ID), San Luis Obispo (CA), Seattle (WA), and Palm Coast (FL). Having two towns from the western part of country at the top of this list is significant news. Do you think it represents a trend – either that more people are considering a western retirement, or that more boomers in the west are considering moving in retirement. Or does it mean something else? Where are you thinking about retiring – do you have a preference east or west? Is it a town on this list, or someplace else? Please add your Comments and reactions about what makes for a great place to retire in the Comments section below. Interesting that only two towns from the greater Miami area (Miami-Dade, Broward and Palm Beach counties) made the list: Delray Beach (75) and Boynton Beach (88), located next to each other in southern Palm Beach County, between Ft. Lauderdale and West Palm Beach. Southeast Florida seems to be less of a retirement draw than it once was. Yet the population continues to grow, albeit somewhat slowly due to lack of affordable housing. Greater Miami is seen as more of a major business center these days (attracting younger professionals) than a retirement mecca, and wealthy immigrants from central and South America have also expanded the population. I first learned of Green Valley, AZ on TopRetirements. I read everything I could find on GV and talked about it to hubby who just let me chatter and didn’t really listen. Finally he got tired of hearing me (and I also casually mentioned they had 9 operating golf courses) so he said let’s go there and check it out. So we did, and by the end of the week, he was telling everyone who would listen that we were moving to Green Valley. We have lived here for 2 years and it is truly our Utopia. We are way more active than we were when we lived in Texas. I am so happy to be spending my golden years in Green Valley, AZ, and glad I saw it on TopRetirements. Green Valley sells itself … more than 70 special interest clubs, great weather (most of the year), no natural hazards such as hurricanes, tornadoes or earthquakes. The easiest place I have ever been to meet new people. Nearly a dozen of our friends and relatives have relocated here after visiting us ,,, there is no better reference than that ! We like Olympia, Washington, the state capital. Many lakes and green grass and beautiful trees, and a boardwalk on Puget Sound, a wonderful farmers market, and many arts, fairs and music/concert activities. Great antique stores. Home to The Evergreen State College. Many retirement village options including Panorama in Lacey. Kaiser Permanente medical center and St. Peter Hospital. Easy to drive. EZ access to I-5 freeway to points North (Seattle and Tacoma) and Hiway 101, 80 miles to the ocean beaches. Richard Kidwell, you mentioned 70 special interest clubs. Do you live in a 55+ community or does the town itself have these clubs? Can you comment further on location of major airports, large grocery stores and crime? Can you talk about the temperatures and how you deal with the heat. I live in CT and prefer it cool but we have some very hot, humid months that are hell on earth. Living in the Northeast has its challenges. Months and months of cold, snow and ice. Then basically no spring and then it jumps to hellish heat and humidity in the summer months. Fall is the best, most beautiful time. A chill in the air, the aroma’s of the fallen leaves and the colors of the leaves are glorious. However, my hub, hates fall leaf clean up and would cut down all the trees if he could! LOL! Sounds like you love it there! The clubs/organizations question: a majority of recreational clubs are accommodated by Green Valley Recreation, a nonprofit in which most GV homeowners are members of. We are not a town, we are an unincorporated part of Pima County. Age restriction is delegated by each Homeowners Association’s rules. Roughly 90% of Green Valley Homes are 55+/18 (One tenant must be over 55, all must be over 18). Our neighbors to the north in Sahuarita are divided into family communities, which explains why there is a K-8 school in GV. We have several nonprofits, golf courses, recreational facilities, etc in Greater Green Valley and we are about 30 miles south from Tucson, AZ. We are also equidistant from Tubac to the south of us, which is a beautiful place to shop, dine, and take in the Southern Arizonan Culture they have to offer. The heat is no where as dreaded as some may expect. It may break 100 degrees in the summer months, however, the bone dry humidity makes it significantly more comfortable than in “swampier” areas of the country. I hope this helped to answer some of your questions! thanks to those who have posted about Green Valley. I plan on making a trip to check out what GV is all about. I hope to retire in 2 years if not sooner. Green Valleys secret is finally out. Quiet, safe, clean, scenic, affordable, mild weather most months. The longer you live here the more you actually appreciate summers. And the amazing amenities of Green Valley Recreation are a bargain. Robert Brown, I have been looking at some real estate in Green Valley and one house in particular had bars on all the windows and doors! I went to Puerto Rico years ago and saw that on just about every home there. You say it is safe there so why do you think this house had bars all over? They were nice looking like wrought iron, but a bit worrisome. Jessica Schiff, thank you for your explanations of Green Valley, it helped a lot! Louise – One reason for bars on the windows; may be that the owners are snowbirds. If the owners are elsewhere for half of the year, the bars on the windows just add peace of mind. A lot of countries uses the bars instead of screens for ventilation. It is more a security measure here in the USA. Green Valley and the next town over, called Sahuarita, are very nice places to live…and very green in terms of vegetation. There is a pecan orchard that spans thousands of acres and provides green many months of the year. I come from New England and chose to purchase in Quail Creek, a 55+ resort community that has a 24 hour manned security gate, beautiful homes in the low to mid $200’s and was the closest thing I could find as nice as parts of McCormick Ranch in Scottsdale in terms of visual appeal and maintenance. The Green Valley/Sahuarita area is in close proximity (10 to 20 miles) to Madera Canyon/Coronado National Forest if you like a nice morning trail walk and you can see beautiful birds, deer and other wildlife there…not to mention the beautiful scenery. The nice thing is that the temperature here in the area is between 10 to 15 degrees cooler than the Phoenix area and with a lot less traffic congestion. At Quail Creek, when it gets hot I just head over to the pool and cool down. Check out Quail Creek on the the web if you are looking for a nice place to live here in the Green Valley/Sahuarita area. We love it here! It’s very safe in Green Valley. Snowbirds use window bars for peace of mind. They, like me, are often from more crime ridden cities and it takes time to learn how safe and peaceful it is. Im often out of town and never worry. Bottom line…the bars are a decorative touch to Arizona architecture and are prevalent throughout the Southwest. Security in Green Valley is enhanced by the Volunteer Sheriffs who patrol every neighborhood twice a day. Also, nobody has mentioned the Titan Missile Museum. An incredible attraction that all visitors tend to rave about. Does Quail Creek have Green Valley Recreation? How does it work. I see some places have it and some do not. Who has it and how much does it cost per year? Glad to hear the bars on windows and doors are not for protection for the most part. USA Today recently published an article from credit.com about the 25 best places to buy a summer vacation home based on a budget. ATTOM Data Solutions, a leading provider for real estate data, calculated the best places to buy a vacation home for 2017. Variables include median sales prices, crime, five-year home appreciation, average summer temperature and the percentage of good air quality days. Although the criteria were based on a summer home, the list might be helpful for those looking for a retirement home in general. The list is in my next post. Green Valley has always been of interest to me since I love the desert southwest. One concern I have had is the availability of water in the future. Not drinking water, because I expect that will always be provided. But lush vegetation was mentioned. Can lawns, trees and flowers grow without irrigation in Green Valley? It would be a shame to lose that vegetation if restrictions would ever prevent watering that might be necessary. I assume golf courses must be irrigated quite a bit. Right? Quail Creek does not have Green valley Recreation. I wouldn’t give up GVR but quail Creek has beautiful amenities. It depends on the individual. The lush vegetation is mainly natural. Very few lawns. The golf courses will stay Green as long as the golfers are willing to pay for it. Editor’s note: Most golf courses in drier parts of the country use recycled (gray) water from the community for watering golf courses and greenery. Many home owners opt for exeriscaping (rocks and plants that use very little water) for their yards instead of lawns. I have noticed that in a lot of communities in GV that the houses are all on top of one another. Can someone direct me to some homes that have a little more acreage for privacy? Or the houses are situated in a way that I wouldn’t have to be 10 inches from my neighbors? Plus, communities with Green Valley Recreation? There are homes with bigger lots here which realtors know of. Most homes are permanently deeded with GVR but some have not been deeded yet. Thanks for the water info about Green Valley. Appears that rainfall is somewhat more there than other areas of AZ. In my post yesterday about a list of 25 places with the best summer homes on a budget, Green Valley was 16th. 14 of these 25 were in central and south Florida, with Delray Beach, Deerfield Beach and Port Charlotte being the top three. Of the 11 outside Florida, the top three were Waynesville, NC, Crossville, TN, and Asheville, NC. There are homes on acreage but they come with a premium cost. We purchased a home in the older area of Green valley. Bigger lot with lower homeowner dues. The reason some homes have GVR and some don’t is the prior owner bought into GVR and it become attached to the deed. In some of the newer sections, builders were required to attach the GVR to the deed before the sale. This make choosing a home a little more flexible. The cost of buying into GVR a little over $2000 and annual dues a little under $500. There is so much than clubs. There are 13 club house, gyms, swimming pool, pickle ball, tennis, shuffle board, bocce ball, volleyball, horse shoe, many card games, a complete wood work shop, lapidary you name it. I was reluctant to move here full time but I am so glad we did. Quail Creek is not part of the GV Recreation Association. In quail Creek you have all of these recreation amenities without the large crowds. As a homeowner you automatically have access to all of these except the Golf Courses. These require an additional cost over and above your homeowners fees. This is a nice thing since non-golfers do not have to pay for the golf usage…only the golfers pay. I think this is fair. I checked out houses outside of a planned community within GV and there was no sense of community. I visited one of the GVRA facilities and it reminded me of going to the YMCA. Quail Creek is a 55+ Resort Community and I emphasize “community”. I will be closing on the sale of my New England home and moving in to my Quail Creek home as a permanent resident in September and I already know most of my neighbors. In a “non-community” like here is New England, not so much. Bruce L. Quail Creek sounds nice. I also live in New England…CT. What amenities do they have and what is the cost of the HOA to be part of all this stuff? Golf courses are of no interest to me or husband so that would be good. You must be excited to move on to your next adventure in life! What kind of home did you choose? There are hundreds of clubs/organizations that exist and meet; if you can think of a topic, there is an organization. There are even organizations that are for guys who want to do nothing! What these places say is true….you can be as active or not as you want. Pickleball, health club with gym, swimming pool (general) and lap pool (for the serious), an outdoor whirlpool, bocci courts, tennis courts and more. We also have two dog parks if you have a pooch. Consider a golf cart even if you don’t golf. An evening ride on the golf course tracks can net you lots of views of local wildlife. I bought my house about a year and a half ago. It is a freestanding single family, single floor southwestern-style home on a corner lot. Orientation to the sun is a big consideration when purchasing a home anywhere in the area since you are going to want to spend quality time chilling’ on your patio and don’t want to fry or have to put down shades. It is a big consideration. We bought our home instead of building a new home; I didn’t have the energy or stomach to go through the building process. If you live or rent locally and can “manage” the building process, that would be the way to approach building a home instead of buying. 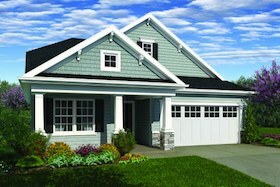 I can honestly say that the homes in Quail Creek are very clean so a purchase can be a big savings. My house is what is called an Oakmont Model; my landscaping is beautiful (at least to me). I wish there was a way to post images…I would post a picture. My Homeowners fee is about $2,100 yearly, payable in semi-annual payments. The property tax and homeowners fee is still less than I was paying just for property tax in New Hampshire! And I get so much more. Louise, this is not an advert, but we used a realtor names Kathy Westerburg at Tierra Antigua Realty kathywesterburgAZ@gmail.com 520-345-2982. It was the luckiest find off of a for sale sign when we were looking for a new home. Kathy was amazing. We put her thru h*ll and she never gave up on us. She learned our hot points and could us the right house. Now she and her husband are our friends as well. Kathy lives in Quail Creek so she knows everything there is to know about the community. For the reverse perspective from that of Bruce, I looked at Quail Creek and found it to be overpriced and had a feeling of isolation from the rest of Green Valley. I bought in an area called Desert Hills where prices are much lower, there is lots of greenspace, but little you need to care for yourself (just inside your own patio), and for only $450 a year I have the use of 13 different rec centers, hundreds of clubs and classes, and have met nothing but friendly people. Coming here as a single, I wondered about meeting others, but have done so easily. I took a class in dichroic glass jewelry and another in wirewrapping and now spend at least four hours every week in the club workshop making fun jewelry. The people in the workshop are all friendly and helpful and willing to share their years of knowledge. Things never seem crowded, although they can be in the three winter months when more people are here, as even restaurants are more crowded then. All I can say is come look around and decide for yourself what fits your pocketbook and your personality. Another plus to GVR is two free recent movies every month. I have only missed one since I have been here, and the popcorn is good and only a dollar. I also like that it does not matter whether you live in a $50,000 condo or a half million dollar home, you have access to ALL the same facilities and everyone gets along. Pat. You are so right. I came here from a class conscious rich or poor City and right away loved the egalitarianism here. People might have money but they keep it quiet. I love the “ymca-like” GVR facilities…though still have yet to see such a nice YMCA. We welcome newcomers but hope they check their snootiness at the gate. I read the comments from Robert and Pat and agree that Quail Creek is not for everyone (although I have never encountered any snootiness or people publicly flaunting their financial statements). Robert and Pat have the right strategy….come look around like we did; even sign on to one of the three day stay deals that a lot of places offer and see what you like and also feel comfortable with financially. No matter where in Arizona you finally decide to call home, Arizona is the right place to live. 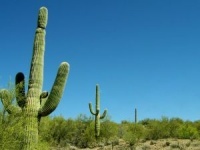 If you do come to look around, save some time to visit the Sonora Desert Museum outside of Tucson, and while in GV/Sahuarita, drive up to Madera Canyon and take a nice scenic walk. Also, keep in mind that Quail Creek is located in Sahuarita, the town right next to Green Valley. About Florida…We thought we wanted to retire in the panhandle area because we’ve visited Destin, Gulf Shores, Orange Beach so many times. We are in the Gulf Breeze area. Luckily we are renting because we won’t stay after our one year lease is up. There are gnats everywhere. They live in the sandy soil…you cannot get rid of them. Mosquitoes, flies are very prevalent too. They love to annoy you whenever you go out in the yard to enjoy gardening or tending plants and they bite. ?Snakes CAN be anywhere…It is not enjoyable to go out and work in the yard and have to be aware of the possibility of a snake out there. There was a cottonmouth in our garage a couple weeks ago…a garter snake trying to get in one of my 24? potted hibiscus plants…and the day before I had my hand in there removing some leaves turning yellow. ?Too much rain!!! If you like to garden…forget about it…the rain and humidity plays havoc on any tomato or vegetables you want to grow. And expect stuff to rust quickly…Had a shovel in the back yard that we’ve had for years. A couple months now and it looks like it’d been left out for 10 years. ?Originally from Iowa, we’ve lived in San Antonio, Mississippi, Virginia Beach, Phoenix and Maryville, Tn and now here…?But the good news is: we are so thankful we rented because now we know this is NOT the place we want to end up. Honestly, there is not another place in the United States that has a draw for us to check it out. We are in our late 60’s and time is running out to try something new, you know?! Have to settle in somewhere. Thinking of going back to Iowa where our son and grandkids are and possible go to warmer places in Jan, Feb and March. ?Oh, and when we moved here in March, doing 2 Florida driver’s licenses and new plates for a 2015 Chrysler Town and Country Van and a 2005 GMC Envoy cost us $975.00?Any inspirational ideas are truly welcome!! Brenda, you are in a situation that I feel could happen to me and the Hub. I live in CT where cost of living is expensive. We have talked of leaving this tax me state often and have been trying to figure out where we might like to live. We have no relatives or friends that would draw us to another state. I do not like heat and humidity but considered living in a state with it just to escape CT. I have considered AZ which is dry heat but HOT! Shoveling snow is getting old here. Like the 55+ communities and the activities but don’t like the HOA’s that go along with it. We try to garden here and last year we had almost no rain and terrible garden. This year we have had tons of rain and still have a terrible garden. If we had to depend on our 3 cukes and about 10 tomatoes, 2 eggplant, for survival we would be dead. FL with snakes, alligators, sinkholes, hurricanes, heat and humidity just doesn’t appeal to us. Maybe if you make a list of all the things you disliked in each state you lived in you will see a pattern. Like if each state was too hot, then maybe you need to consider moving to a cooler state. Make another list of what you liked in each state. What are you looking for in a state? Low cost, activities, living in a highly populated area or a rural area? City or country living? What did you like and dislike in Iowa? Are both of you looking for the same thing or different things in a state? If you could find the ‘perfect’ retirement state, how would you describe it? Good luck on finding a new retirement location! Brenda, Florida hits you up with a big fee for vehicle registration the first year. After that, it is quite reasonable. Based on the value of your vehicle(s). Has anyone retired in Texas? My partner and I are in our mid 60’s and plan to retire within about 2 years. We have looked at a couple of retirement communities near Houston, but the restrictions imposed by HOAs make them a less attractive alternative. Yes, real estate taxes are high as the humidity, and we have two state birds (tree roach & mosquito), but no state income tax. I have lived in Texas for over 25 yrs. Moved here from Michigan. Look in the Frisco area, Del Webb has a community here. There are many 55+ single family home communities and many apts/condo options. No state tax, 8.25 sales tax, reduced school taxes for homeowners over 62, great hospitals, medical centers, so many choices of restaurants (you could eat out 365 days & never go to the same restaurant! ), social security is not taxed, It is hot and it does get cold here (but not for long), we’ve even had snow! Moved to Georgetown Texas after investigating communities from north to south and east to west. 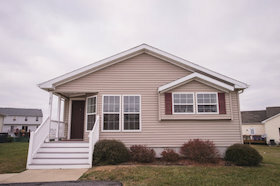 We rented then purchased a resale home in a 55+ community and so far we love it. The small town has wonderful people, great restaurants, plenty to do both in town and in the neighborhood. Yes, in gets hot in the summer but it is also warm and beautiful throughout the other seasons. But we don’t have to shovel heat and the sunny days really do wonders for one’s outlook on life. My best advice is to find a place that appeals to you and rent. Immerse yourself in the life style, then decide. If you like- stay. If not, move on. Good luck! A friend of mine has been very happy in a town, Rockport TX. She finds it more affordable, compared to Florida where she relocated from 18 yrs ago. She has only had to evacuate from a hurricane one time. She was just saying how many Californians have moved to her town in the last year. Says it is becoming a RV ville! Wow, so surprised and pleased at all of the information on Arizona. Sounds like Green Valley has changed in the last several year for the better. We moved to Kentucky which is a beautiful state with a lower cost of living and friendly people. Yet, I have to say I really miss not being closer to Arizona to see family and the beautiful sunsets there. Hopefully we will visit again soon. Thanks to everyone that wrote a message about Arizona and Texas. We are on the north side of Tucson in Dove Mountain. Again, about 20 miles NW in a gated 55+ community called The Highlands at Dove Mountain. All amenities including golf, restaurant, pool, tennis, pickleball. Opened in 1997 – but a small community, totally built out at 1300 homes. In the foothills with great hiking just 2 miles from us in the Tortolita Mtns. But, we are just minutes from I-10 and that gives us easy access to Phoenix (mostly for airport) or Tucson. Yup, summers are mucho caliente but we have survived 20 of them here, yes they are getting warmer it seems. We also appreciate the friendly residents, everyone is from somewhere else so new friends and social lifestyle is really important when you are so far from “home”. Brenda, what builder are you using? Folks after researching SE Fl area for more than three years we finaly made our move to Delray Beach. The area has a small town feel yet offers everything a larger town offers. We are close to the beach,shopping areas, medical, entertainment, etc. Delray is close to PBC airport 25 minutes away, and only 45 minutes to Fort Laudable airport. We are close to major entertainment in surrounding towns via 95 or scenic route 1A1 and 1A. We usually say off the highways. Another plus is mini vacations without leaving the State. We are 4 hours away from the Keys, 3.5 hours to the West Coast:, 3 hours from Orlando. We are short drive to South Beach Miami and her Ports for a cruise to Nassau and seven miles from Delray beautiful beach and down. We found a beautiful 3rd floor condo 1500 sq ft 3 bed 2 bath condo over looking a lake. The community offers 24/7 guard and gated community. We have 4 outdoor pools with three hot tubs and one indoor pool. We have a gym, arts and crafts room, movie, and theater that offers well known acts. We have tennis courts, bocce ball court, pickle ball court, hand ball court, billiard room, meeting/game rooms, and countless clubs and activities. I assure you, you will never be bored or lonely. The people we have met are very friendly and nice. The community is a 55 plus community. Our commuity is made up of different ages with younger folks moving into the community. If you are lucky enough to find a villa or condo this makes a perfect retirement community. Another plus for living here is the people are from all over the United States. It’s nice to hear their stories of living in other areas of our country. The only con for anyone thinking of relocating to South Florida is the heat, high humidity, and mosquitoes. Living in Texas for 25 years and enduring the hot summers we are able to tolerate all three. If you plan on visiting Florida do so in the hottest time August,September,and early October. Too many people make the mistake of visiting the cooler times of the year not the hottest. I assure you many of you will regret it. You need more information I suggest to google Delray Beach, PBC county, Huntington Pointe, Huntington Lakes, Lakes of Delray etc etc. What do the last few entries have to do with retirement towns in the west? Editor’s comment. Thanks for the inquiry Sandie (we removed a couple of comments that were off topic). Although the headline of this story draws attention to the “news” that for the first time our Top 100 Retirement Towns article had some places from the West at the top, the article is mainly about all the towns that made the list – east, west, north, south. (most are in the south). We do have separate blogs on various parts of the west, e.g. It’s come to my attention that you’ve mentioned Green Valley, Arizona as a good place to retire. Having lived here for 14 years, the roads in our town have done nothing but deteriorate. Residents have been up in arms over the condition of the roads but the money always seems to go other places. Before you recommend this community you might want to send a representative to our community to check it out. We came down here on vacation for years and it was a wonderful place. Now, not so much. Comment from Rod: I don’t think there is a Top Retirement place. Everybody’s different. Also, I don’t think that taxes should be the main criteria. Most places balance out when you weed through the particulars of property, sales, income, and pension taxes. For example, I like the DC metro. Its suburbs have distinctive community vibes. The subway is convenient. The parks are beautiful and well maintained. My wife and I love museums, and all National attractions are free. I also like the Philly metro for similar reasons. While I don’t like the winters in either place, I would probably reside overseas in the winter. Summers are hot up and down the mid-Atlantic. I don’t find Delaware beaches to be any cooler than Virginia Beach where I reside now. MD exempts $29,900 of pension distributions from state taxes, and PA doesn’t tax pension distributions at all.